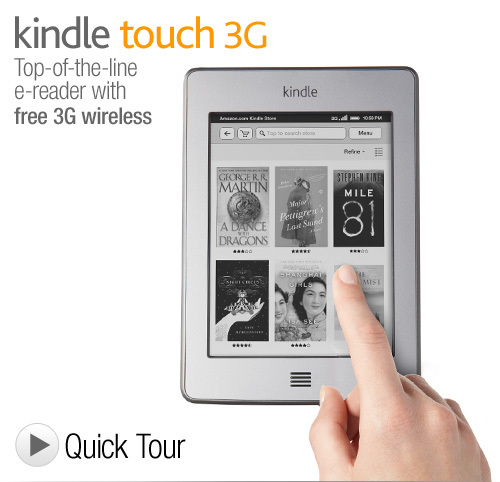 After months of speculation and a fair amount of information pieced together from parts orders, supposed inside information, and extrapolation from Amazon’s more recent choices as they expand their reach, we have to assume that we have at least a pretty fair outline of what the upcoming Kindle Tablet is going to look like. I would never simply trust a rumor, but enough of the little things add up and agree with each other lately that sudden conflicting information has to be viewed with some skepticism. This is why, when perusing the latest set of stories, blogs, and whatnot, I was rather surprised to see a sudden turnaround in the speculation that points the proposed device at the same market as the Nook Color. Apparently some people don’t think Amazon is quite ready for the larger game? Tracing things back, the speculation along these lines seems to stem from a Business Insider article that simply cites “a source close to the company” as saying that it will basically be a color eReader with some apps on it. They build this on top of earlier reports of underpowered processors and the anticipated lack of cameras and leave it at that. For a couple reasons, I believe the evidence fails to support the argument. Mostly, we know that in the time since the Kindle Tablet rumors started going out Amazon has built up its app store, cloud storage, cloud based music system, and video streaming library. Every one of these would integrate impressively will a full tablet offering and do next to nothing for a dedicated eReader, even if it were color. There are uses for each of these things as pieces to the Amazon.com experience, but they don’t seem like they could have a huge impact in any area taken as individual enterprises. A unifying experience is necessary to explain the overall plan. Leaving aside the arguments about hardware speculation, since those bits of information don’t give us information on what what display technology the Kindle Tablet line will take advantage of and therefore leave too much to the imagination so far in my opinion, I could see this simply as a misinterpretation of the situation by all parties. 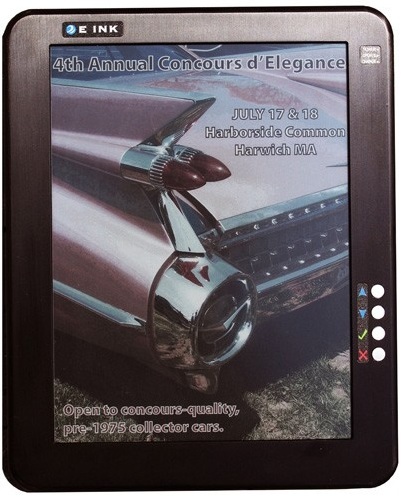 We have indicati0ns that there will be at least two Kindle Tablet offerings this year, including a 7″ and a 10-11″. The fact that the smaller, lower powered version of these does not compete well with the specs of the iPad may well make it smarter to market as an eReading Tablet rather than a fully powered Tablet PC. I think the general idea is going to be a staggered release, in the end. The fact that the first, smaller Kindle Tablet will be released alongside the new Kindles may make it a transition point between Amazon’s eReaders and Tablets. 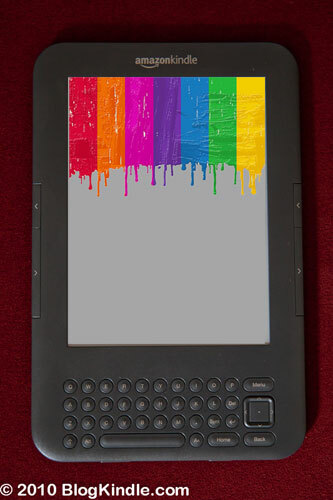 Easily advertised as the next step in eReading and focused overtly on tying that experience in, but without any of the initial restrictions that crippled the Nook Color as a Tablet on release. To say that Amazon is not focused on the iPad competition still seems naive, since we can expect something much more powerful and functional in the next 6 months. 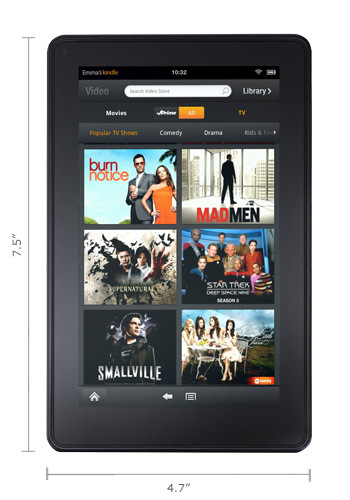 High-End Kindle Tablet Made For Video Streaming? As the weeks go by and the holiday sales season gets ever closer, we get more and more details about the upcoming Kindle Tablets. Yes, their very existence has only been hinted at in anything resembling official Amazon.com communication, but we know it’s coming. It’s only a matter of figuring out in what forms and with what focus. Now we have a bit more of a line on what the higher-end option of what appears to be the initial release group will be. It shouldn’t come as too much of a surprise to find out that the Kindle Tablet reportedly codenamed “Hollywood” would have a visual media focus to it. Now, though, we have a bit more to go on than random conjecture based on that name. A recent report note from investment firm Detwiler Fenton indicates that the anticipated tablet will have a 10″ color screen as well as a bundled trial of an Amazon video streaming service such as, or possibly exactly the same as, that offered at the moment as a perk to Amazon Prime members. It will also feature significantly more processing power than the other Kindle Tablet offering or offerings expected to launch around the same time, which when added to the anticipated pricing of around $399 would seem to make it a very real threat to the industry leading iPad. Now, we know that Amazon has been doing so amazingly well with the existing Kindle line because of their focus on selling content for the whole platform rather than simply a line of physical eReading devices. 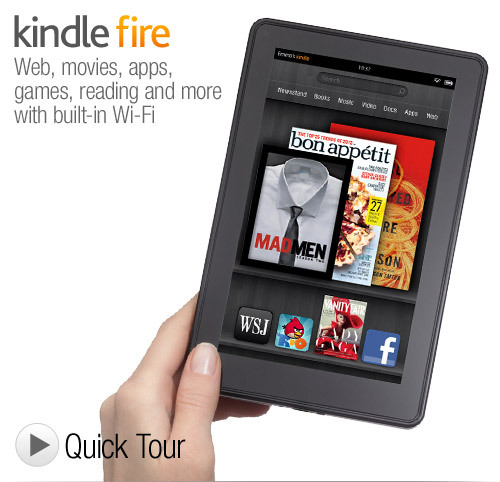 Rumors go so far as to say that the Kindle itself is being sold near cost. It makes sense, by extension, that they will want to continue this approach in other forms of media if possible. Video makes perfect sense, as does music. They have a presence in the retail market for both, in addition to the app marketplace that we have to assume will work exceptionally well with the new Kindle Tablets. I anticipate an expansion of all of these either in terms of content or functionality before the launch, of course. If the Kindle ‘Hollywood” Tablet is going to be pointed at the iPad, like many of us are assuming, it will only really have a chance if Amazon can compete successfully against the iTunes store. That means streaming audio and video, cloud storage, and an amazing selection. Nothing less will do. Right now the Amazon Instant Video Store is a decent start, but it only does so much. We are definitely likely to see an expansion of the offerings by the holidays as well as an extended Amazon Prime membership benefit list that takes advantage of it. 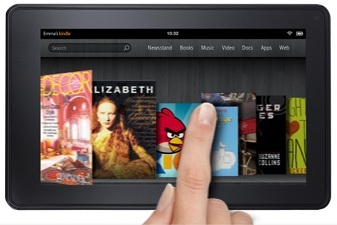 What else happens will depend in large part on what the other new Kindle offerings are focussed on. 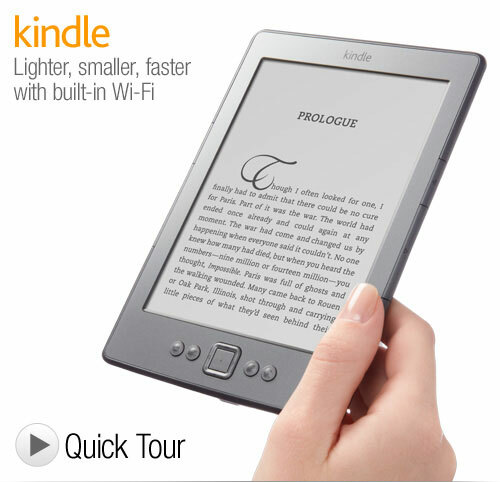 A pocket-sized Kindle, perhaps, with a heavy music or audiobook emphasis? There are a bunch of different openings for new media-consumption devices that remain to be exploited. You have to admit, though, video is a great start.